I am a convert to Orthodoxy and live in regional Australia. I came to my local Greek Orthodox Church from the Greek Orthodox Church of Antioch whose Patriarch is based in Syria. In Australia, this Church is known as the Antiochian Orthodox Church. There are five traditions of World Orthodoxy represented in my area, but only the Greek and Serbian traditions are “affiliated” with the Patriarch of Constantinople. Only rarely do these churches offer a Divine Liturgy in English. I’d like to share with you some of my thoughts on what difficulties converts face on coming into the Orthodox Faith. It has been my experience that, if one wants to do more than just participate in a “nominal way” in the life of the church, a full commitment to the Orthodox Faith is what is required. My sole purpose in writing this letter is to increase awareness of the process of conversion to the Faith. I pray that I will do this with humility. Hopefully, by sharing some of my thoughts with you, we can learn from one another that the road will be made just a little easier (not just for those converts who may come after people like me but for each one of us whose spiritual journeys are often unique and deeply personal as we aspire to live our lives in the Lord’s name). People who come to the Orthodox Church from another faith are required to do Catechesis. This means taking instructions in the Orthodox Faith. 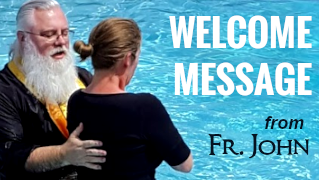 On transferring over to the Greek Church, I was given special permission by the Bishop so that I would not have to undertake any more catechesis. I was also granted approval to be Chrismated any time after that. Because of the unique circumstances that led me to the Greek Church, I found myself as the only convert attending the church on a regular basis, in need of a kind of “unofficial” catechesis. This was not only because I was grasping with a new faith and how to truly live an Orthodox life in the outside world, but also because of the particular demographics of the church and my reawakening to its different culture and language. 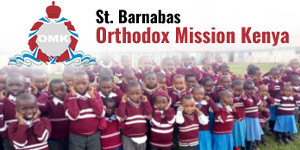 Such an experience has given me a good foundation in Orthodoxy and has helped when I have had to face the various challenges of life. I have held a strong conviction that Orthodoxy is the true Faith for a long time. I wanted to offer my commitment to God through not just the Sunday Services but some of the most wondrous services in the Orthodox Church including the Paraklesis (Service of Supplication) and Esperinos (Vespers). I longed for some English in the Services so that I could explore all the senses… Orthodoxy is certainly an encounter of the mind, body and soul. This lack of understanding may have been coloured by a particular parishioner’s personal experiences of family members becoming Orthodox for the sole reason of wanting to marry someone in the family who happens to be of that faith. Anecdotal evidence tends to show that once married, such new family members rarely, if ever, attend an Orthodox church. Trying to throw out the legalisms carried over from one’s former faith as one works through what should actually be one’s personal response as an Orthodox confession and communion. Exposing one’s own weaknesses to a spiritual father in order to better understand one’s response to the Faith; to better understand ourselves and with God’s help see the inner state of our soul and grow even more from the experience. Despite the obstacles, coming to the Church has made me stronger spiritually in a lot of` ways. It has been difficult though, to offer patience in the midst of affliction. Sometimes, when the affliction brought about by others causes us immense pain, we need to try and liberate ourselves from such encounters by reminding ourselves that the suffering of the moment is not worth worrying about, considering the glory we will experience later on (Romans 8:18). are a declaration of our Faith. We should give God all our time, talent and treasure every moment of the day, because He has given us His gift of grace out of unconditional love for us. Wonderful article about converts to Orthodoxy! I was just received into the Church 2 Sundays ago. I came from the Roman Catholic faith. The catechesis for me was a little confusing in that most of it was what I had always believed as a Catholic. But it also reinforced what I felt to be true…This Is The Faith! I am fortunate to be affiliated with a church under the OCA, so the services are in English. I was so confused when visiting a Greek Orthodox Church in another city, as I couldn’t understand what was being said. I felt like an outsider. Still, the Divine Liturgy was so beautiful, I was undeterred. The different jurisdictions and lack of uniformity confuse me…and may, I think be a stumbling block to some who might otherwise want to explore Orthodoxy. Nevertheless, I am at peace and feel fortunate and blessed. I am truly amazed that anyone would voluntarily convert to the Greek Orthodox Church (outside of marriage). I stand amazed and awed at the spiritual strength of this person. Greek Orthodoxy has done a marvelous job of driving out all potential converts, as well as the younger generation through its tragic and obstinate insistence on a) Greek language in its services (one that even Greek speakers themselves cannot understand) and b) for the most part, non existent effective catechesis of children and adults. The former results in the latter. When people do not understand what they are hearing, it is impossible for them to understand and pass on the message. For the majority of Greek Orthodox adherents, the church is first and foremost a Greek club and only secondarily (and vaguely) a religion. This situation can be left squarely at the feet of the Greek hierarchy. They have know about this situation for twenty-thirty years; they know that the overwhelming majority of the flock’s first language is English–not Greek, the abysmally low knowledge of the faith, and THEY DON’T CARE!!! They would rather the ship go down, than save the passengers. Tragic–but true! I don’t understand why the thought of having a reverent King James-like English in the services upsets so many hierarchs. The only answer is phyletism–Greek will be imposed no matter what! So what if there are Greek language classes, Greek dancing classes, Greek spoken (if possible and desireable) during coffee hour. No! People should not be able to understand what they are listening to and we should all assume that everyone understands (and believes!) the Orthodox faith. 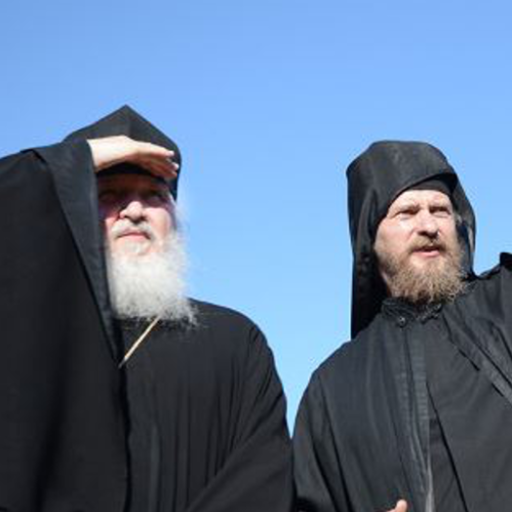 When I think of the Greek Orthodox faith I think Greek Orthodox “Church” or “Orthodoxy Lite.” So many people have left the Greek Orthodoxy for–nothing; others have converted to Christian denominations. It is truly amazing and sad. 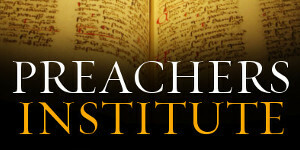 The Antiochian, Carpatho-Russian and Orthodox Church in America have all English liturgies. Even ROCOR has parishes with English liturgies; some ROCROR churches have two liturgies–one in Church Slavonic and one in English). But not the Greek Orthodox Church (except in one or two parishes that are doing–surprise–extremely well). I applaud this convert, but she has more strength that I have. I don’t think I could ever do what she has done. The majority of the members of my family have left the Greek Orthodox church either informally (never or rarely going/non contributing) or have joined other churches. A few (mostly the older generation) still attend. 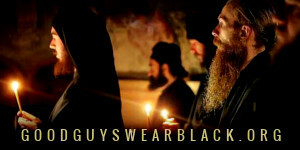 Lord, have mercy on the Greek Orthodox Church and her bishops! Athena, I feel your pain and have experienced what you describe. Luckily, there are many, many places where things are different. Here, for example! 80% convert and growing. Don’t give up, yet. There are millions of souls looking for the Orthodox faith. Thanks for writing, and if you can, please support our work and mission! I also know what you are talking about. I married into the faith and can tell you at the beginning services were all in Greek. But over time it has changed to around 90% (there are some exceptions) and there are book in the pews that are in English. I can tell you we have lost a generation because of this lack of understanding due to the services being in Greek. It also is not helping that the Sunday school is held after communion, while the Liturgy is still ongoing. What message do we send when the service is not important enough to emphasis that we should be there form beginning to end. The other issue is openness of the ethnic parish to converts. In the Orthodox faith all are welcome. I pray the day comes when the ethnic parishes really embrace this. “Come and See” should be expanded to be Come , See, Experience and be Welcome. May I support what Athena said above. I don’t know where you are in regional Australia – this info might help me in pointing you to your nearest English Liturgy. Just your town/city on this site will suffice. Relatively speaking, and there is still much ethno-phyletism still alive and well in Oz, only the Slavs in Oz seem to have taken this English-Liturgy thing seriously and openly encourage it. It is still a lottery in Antioch. And barely tolerated amongst the Greeks. 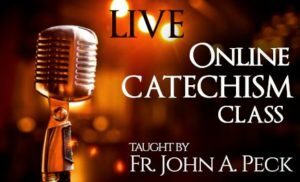 If you are within a 4 hour drive of a Capital City, you might be in luck – I travel as often as I can financially, around 4 hours one way to a Brisbane ROCOR parish. With an 08:30h Liturgy start, this means a 03:50h depart to get there in time for Confession before Communion in the Liturgy. Mercifully for me, I know enough Church Slavonic Liturgy to not require English if nothing else is available. I can therefore travel anywhere in Europe in Slav lands, go to Church, and understand the Liturgy – more or less. Yet having said that, I know of a large number of under 40’s cradle-O Slavs in Oz who prefer English and will more readily embrace an English Liturgy if offered the choice. May the All-Holy Theotokos and your Patron Saint be your companion in your isolation. I understand completely what you say. I am wanting to become orthodox, but I live in Athens, Greece, and my spoken Greek is very poor. I have been told there is an english priest here, but he is like the scarlet pimpernel, nowhere to be found. 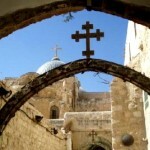 They make it so difficult for people from other countries, and faiths to come into orthodoxy. And in a city like Athens where most people can speak English, you would of thought that they would hold at least ! service in English. there is no shortage of churches, one on every street corner. Hi my partner is Greek and his mum has booked me in for the English session . I am a spiritual person but brought up catholic I love alternative therapy and connecting with spiritual people.. I’m scared to enter this church as the only reason I will be is to be married .. Am I in for it?? That’s the wrong reason to enter any church, Reannon. Orthodox Christians can only marry Christians. May I suggest that you talk to your fiance and his priest before doing anything else. Our faith is beautiful and filled with spiritual healing and experience of the Divine, but it should not be trivialized by anyone. As an English-only language speaker and prospective Orthodox convert, I don’t feel that foreign language liturgy is a problem. It is trivial to gain a translation and learn what is being said. I’d rather tradition be preserved that the faith made to be overly convenient for a minority.